This 5 bedroom villa with private pool is located in Montopoli in Val d'Arno and sleeps 10 people. It has WiFi, a garden and barbeque facilities. This 4 bedroom villa is located in Volterra and sleeps 11 people. This 7 bedroom villa with private pool is located in Capannori and sleeps 14 people. It has WiFi and air conditioning. The villa is near a beach. This 6 bedroom villa with private pool is located in Forte dei Marmi and sleeps 11 people. It has WiFi, air conditioning and a garden. The villa is within walking distance of a beach. This 1 bedroom villa with swimming pool is located in Gambassi Terme and sleeps 3 people. It has WiFi, air conditioning and barbeque facilities. This 8 bedroom villa with private pool is located in Fucecchio and sleeps 15 people. It has WiFi, air conditioning and a garden. The villa is near a beach. This 6 bedroom villa with private pool is located in Montecatini-Terme and sleeps 10 people. It has WiFi and air conditioning. The villa is near a beach. This 4 bedroom villa with private pool is located in Forte dei Marmi and sleeps 8 people. It has WiFi, air conditioning and a garden. The villa is near a beach. This 21 bedroom apartment with private pool is located in Bucine and sleeps 43 people. It has WiFi. 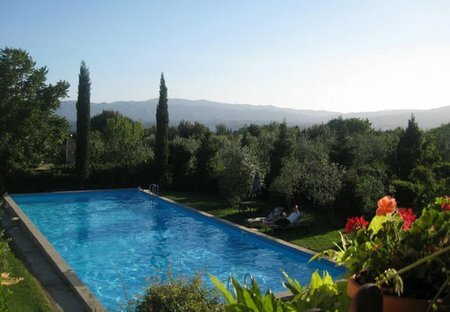 This 2 bedroom villa with swimming pool is located in Castagneto Carducci and sleeps 4 people. It has WiFi, air conditioning and a garden. The villa is within walking distance of a beach. This 4 bedroom villa with private pool is located in Monte Argentario and sleeps 8 people. It has WiFi. The villa is near a beach. 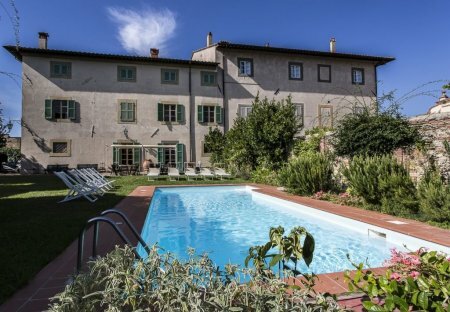 This 10 bedroom villa with private pool is located in Cortona and sleeps 20 people. It has WiFi, a garden and barbeque facilities.